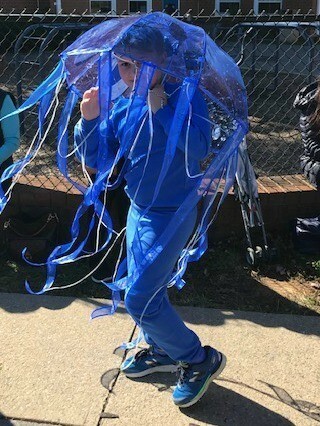 One of my favorite Halloween costumes my son rocked during trick-or-treating was a jellyfish costume. It was the hit at the school party, super easy to make, and since he was wearing a sweat suit, he was nice and warm on the cold October night he hit up the neighborhood for tons of candy. Start with a bubble umbrella — these are the umbrellas that are rounded at the end. A child sized umbrella works best. 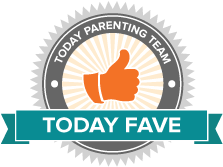 Using hot glue or an adhesive, attach coordinating ribbons. We used wired and curly ribbon and also a thinner ribbon to create the tentacles. Attach several strands of battery powered sting LED lights inside the umbrella. 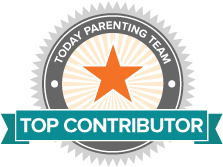 You can use tape to adhere the strands or just wrap them around the brackets inside the umbrella. Finish by attaching the battery packs inside the umbrella around the top. Have your child wear a sweat suit that is a coordinating color and send them on their way to have a blast on Halloween. That is all you need! 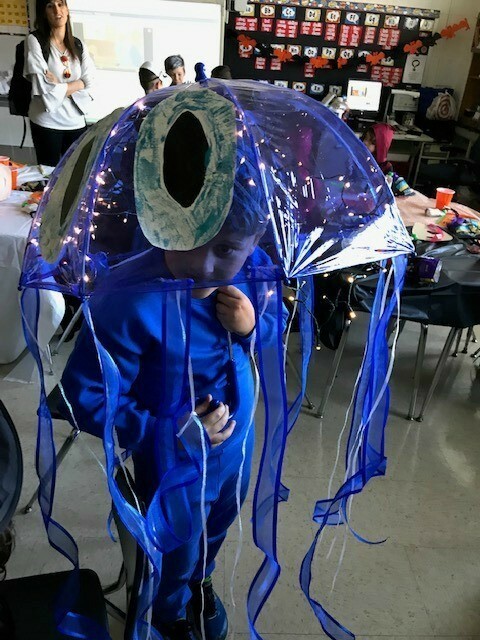 The umbrella can be made in just a few minutes and your adorable jellyfish is ready for all things Halloween! Of all his costumes, my son said this one was his favorite. However, this year, he is totally choosing something we can just grab at the store. Kidding — he wants to be a spider so someone hand me my glue gun, it’s time to get crafty.